The first step is to use the Reverse Care Conditioner first which is totally odd in my opinion but it also makes sense! Shampoo actually strips away hair oils and although it leaves your hair squeaky clean, it also can be damaging if you're washing your hair oils away everyday. Personally I only shampoo my hair 2-3 times a week and use dry shampoo to get me through. By using the Reverse Care Conditioner on your lengths and ends (while wet), it creates a protective shield from the shampoo. I left it in my hair for 1-2 minutes and rinsed it out and my hair was soft, smooth, and wasn't weighed down by the product. The second step is to use the Renewal Shampoo which claims to coat the fiber in order to reduce friction and bring damaged hair back to life. 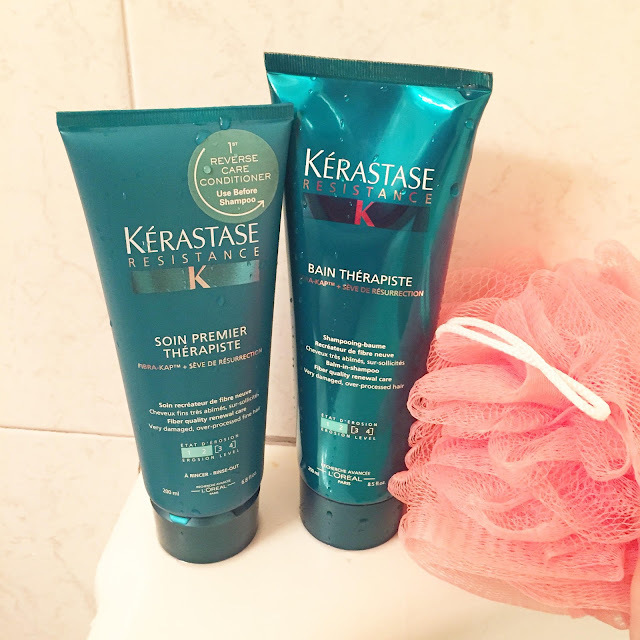 The first thing that I've noticed about these products is that I don't lose as much hair in the shower as I normally would and my hair felt moisturized after I washed out the shampoo. It also didn't leave my scalp greasy yet just had a moisturized, clean feeling that left my hair smelling amazing! I would buy these products alone just for the great smell! Once my hair dried, I noticed there was less frizz, more shine, and it didn't look as dry and over processed as it used to. I'm sure it's going to take more than a week to see dramatic results, but it's nice to slowly see some change happening! I can't wait to see what my hair is going to look after a couple more weeks. If you love beauty products as much I do and want to get a voxbox then join Influenster and connect your Facebook account!